This compact CAN device provides virtually endless data acquisition system expansion options. Channel Expansion hub adds up to four freely configurable analog and/or digital channels without occupying or modifying the existing system channels. Thanks to the CAN technology, wiring squeezes your harness from four cables to one single connection. 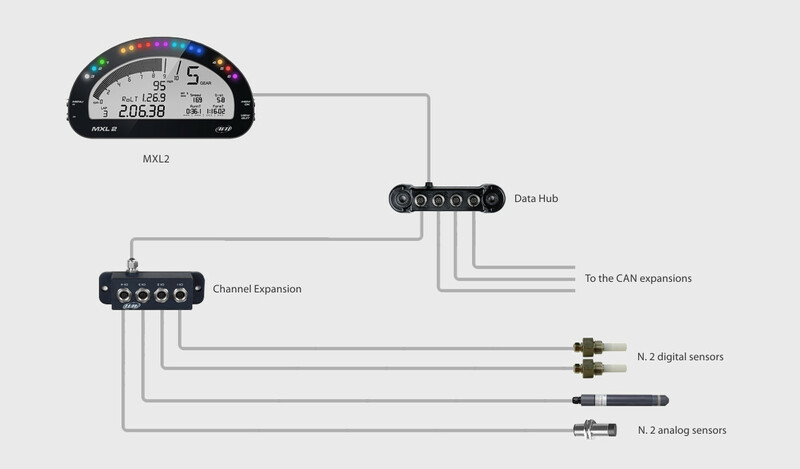 Using a Data Hub you can also connect to the master logger as many Channel Expansion as needed.